What do the Big Apple and Apple have in common? Nothing except that during the month of July 2013 they were both scorching hot! 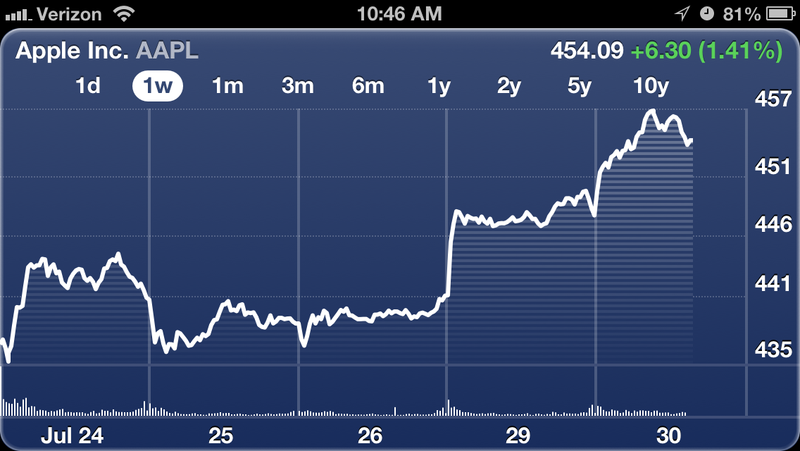 Apple, (s AAPL) after swooning for nearly a year, had a nice month. Despite reporting less than stellar earnings this month, Apple saw its stock jump from $409 a share on June 30, 2013 to about $453 a share at market close. The last seven days have been even better — Apple’s stock went from $437 a share to around $453 a share at the close of the market — a roughly 4 percent gain. I am guessing that everyone thinks with the bad news out of the way and a new iPhone 5S (and cheaper devices) on the horizon, Apple’s fortunes are going to swing upwards. 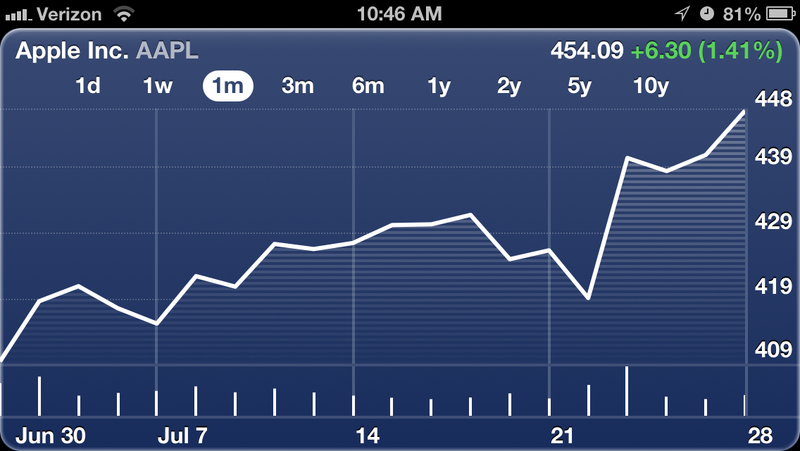 That said, for the past 12-months, the stock is down from $606 a share to $455 a share. That whole trillion dollar company thing — yeah, that ain’t happening anytime soon. Half of what I bought on the way down has turned profitable already. The usual quandary of dollar-averaging rears its stodgy head. Meanwhile, none of this has anything to do with what Apple designs and produces.